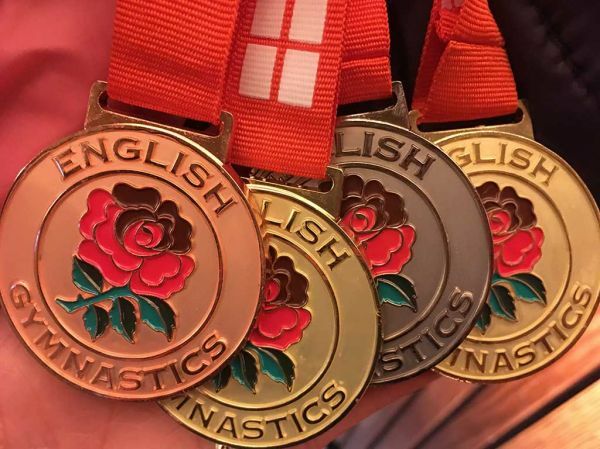 Last weekend Ruby Stacey became the Espoir (12/13 age group) English Gymnastics Champion. 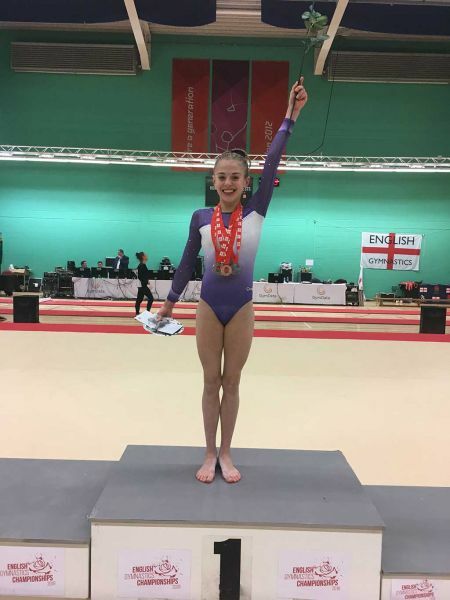 She also won the gold medal on bars, silver on floor and bronze on beam. The event took place at Redbridge Sports Centre in Ilford. 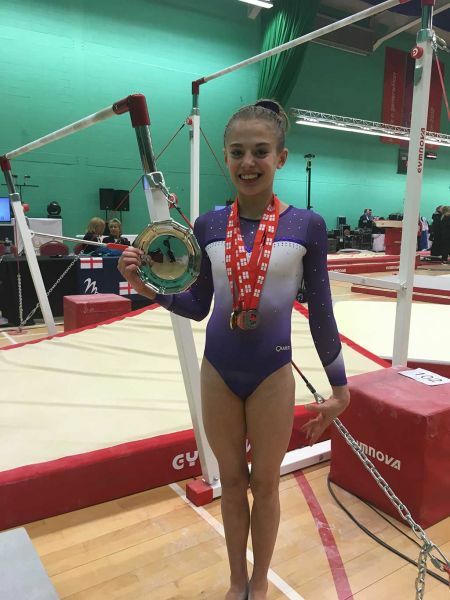 Ruby is 12 year old incredibly talented gymnast who trains 21 hours a week. Ruby works extremely hard and makes the most of every single second she is in the gym training. Her passion and commitment alongside her non stop work ethic makes this national title a very well deserved win. She shone on the day with her beautiful lines, high difficulty routines and confident, happy personality. It was most certainly her day to shine. On floor she claimed the silver medal with lots of stunning leaps and beautifully danced routine. 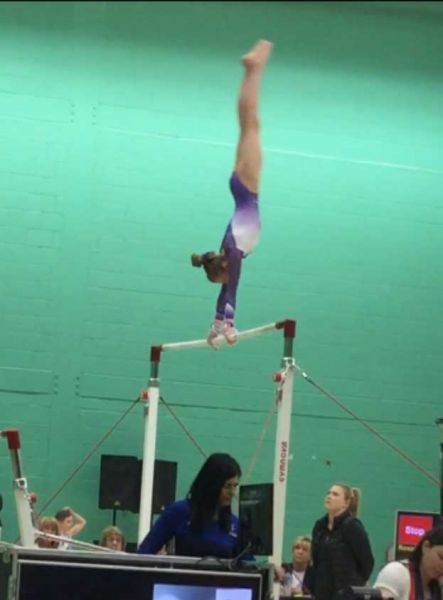 She nailed her tumbles to gain a massive 12.6 score. An incredible result for not only Ruby but the entire club. Our first ever National Title Winner.